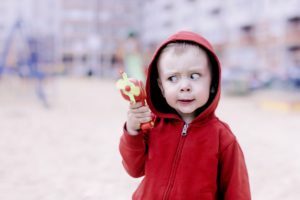 Hoping to deflect the criticism for their unending opposition to gun control measures, the National Rifle Association has given the go ahead to members of the Republican party to propose legislation that would forbid the sale of BB guns, cap guns and water guns carried outside of pools, to anyone under twenty-one. The decision to introduce the bill comes after years of mass shootings with assault rifles at schools, concerts, churches and just about everywhere people gather. A Republican spokesperson, also speaking anonymously, said that the choice to join forces with the NRA was an easy one. “We owe so much to the organization, and I mean a lot, that working with them on this is a no-brainer. Complicating steps to enact a bill, however, is President Trump’s reported refusal to consider legislation of any kind unless it includes building a wall at the Mexican border. “The president believes that without a wall the mass shootings of Americans will never end,” said a person familiar with Trumps shifting thoughts and actions. This entry was posted in Crime, Politics, Satire and tagged GOP, Gun control, NRA, Trump by gprowler. Bookmark the permalink.